Proper hydration is essential during Ramadan. Drink plenty of fruit juice and water during Suhoor and bedtime to maintain proper fluid levels. This helps avoid common health problems associated with dehydration such as headache and fatigue. Sugar absorbs necessary vitamins and minerals from our bodies. During Ramadan, it is important to retain as many vitamins and minerals as possible. White rice and bread act in the same way sugars do in our bodies. Whole wheat and unpolished rice are a good substitute. It’s a sad truth that the majority of Muslims gain weight during Ramadan, but there is no need to consume excess food at suhoor or iftaar. This may result in indigestion, bloating, upset stomach or lack of sleep. There is no reason to vary your diet too much from your normal diet before fasting. During a period of fasting, our bodies are able to compensate so there is no reason to eat more than normal. Soup is a quick and easy way to get the nourishment your body needs. Soup provides two basic needs during a fast: nourishment and water. It is an excellent choice for iftar. 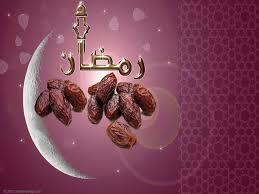 Dates are an excellent source of fiber, sugar, potassium , magnesium and carbohydrates (Sunnah). Almonds are low in fat and a good source of protein and fiber. Bananas are a good source of carbohydrates, magnesium and potassium. Other fruits, such as pears, nectarines, oranges, plums and apples are a good sources of natural sugar. Avoid fatty and fried foods as they will make you feel sluggish and possibly cause indigestion. You should also avoid foods with too much sugar, which is why fruits are a preferred option. Avoid tea and opt for water instead. Tea passes quickly through the digestive system and takes valuable mineral salts with it that the body needs to function properly during the day. Todd Carty Out of Control. Dancing on Ice.